Your Move First estate agents Wishaw can be found in a prominent position within the town centre at Wishaw Cross just off the Main Street. Offering a comprehensive range of estate agency services, please call into the Wishaw branch today and visit our team of estate agents who are here to help make the buying, selling, letting or renting process as easy as possible. 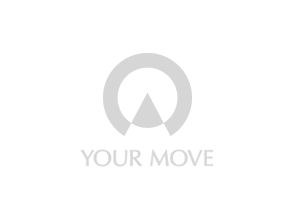 Your Move estate agents Wishaw cover a wide area of North Lanarkshire to the south side of the M8. As well as Wishaw other areas include Newmains, Shotts, Carfin and Law (ML1, ML2, ML7 and ML8 areas). Find out more about the services offered by Your Move Estate Agents in Wishaw, North Lanarkshire. What is it like to live in Scotland? Whether its beautiful countryside that you’re after, or you prefer the city buzz, with its pockets of culture and bustling lifestyle, then Scotland could be just the place for you. Boasting some incredible locations from Edinburgh to Glasgow and the natural beauty of the Highlands, Scotland could have your next dream property waiting for you.